Low milk prices over an extended period of time have created a great deal of financial stress on many dairy farms. Recently, a dairyman called and asked to sit down together to discuss options. As we sat in the kitchen, he asked the question about further cost cutting. Although it was a question being asked by his lender, I believe it is the wrong question. Frankly, prices have been low long enough that I am sure most costs that could be cut have already happened. 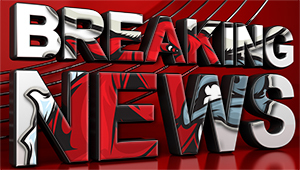 Rations have been examined to eliminate additives that may not have a payback, hired labor hours have been reduced, and optional maintenance has been deferred. But going beyond these and cutting essential investments that result in less milk production, reduced reproductive performance, or that create situations where labor is stretched beyond what is sustainable are normally counterproductive. However, the financial reality is that something has to give. If not these, then what? I have talked with several producers lately about three general considerations: increase returns, cut waste and re-evaluate the business model. Let’s look at each individually. 1. Increase returns. Not only do I not want to lose milk production, but I would like farms experiencing financial stress to ship more milk by whatever combination of more milk per cow and more cows is most achievable. If you have underutilized barn capacity, buying milking cows may be feasible in some instances. Pencil out the investment costs and the predicted net returns. Reduce risks by buying from a known peer rather than at auction. Keep investment costs lower by purchasing animals past peak milk production. Buying pregnant cows would be a bonus. Are there unused assets that can be sold to generate cash? Though this is a single time event, it can begin to help you focus on investments that generate money. These are just a few areas to look at and evaluate. The point is that you are already investing in each of these areas and you need those investments to pay back at the highest rate. When performance doesn’t meet these levels, dairy producers should evaluate management in those areas. It may be that wise investments are needed to realize improvements. Use a partial budget to make the case to your lender that investment will not only increase the net returns but also have a positive cash flow. A partial budget spreadsheet and dairy cash flow spreadsheet is available from Michigan State University Extension. 3. Re-evaluate the business model. One family farm was faced with looking at their heifer raising options. They needed to decide to either buy the land and heifer barn they used or to seek an alternative. In this case, purchasing that land and older facility would add nothing to income and may not be the best option. This is a good time to consider a business model where calves are sold and replacements purchased or having heifers raised by someone else. These alternatives put the emphasis on managing the number of animals needed. Another farm is working with a fellow farmer to raise heifers for them in exchange for keeping springers. The compensation is based on the daily cost of raising the heifers and value of the springers. The one had excess capacity that will now be used to increase returns. The other had animals in excess of his capacity. In this case, both producers will have needs met without cash outlay. The knee-jerk reaction to financial stress may be to cut costs, but that may not improve the financial situation beyond the current month. It is better to improve the value of the operation by evaluating performance and maximizing investments while eliminating areas or assets that don’t return well. The stresses caused by the current economic situation can lead to unhealthy choices for yourself as well as your business. Michigan State University Extension has resources and educators that can help you identify and manage stress. Use the stress you are facing as the instigator to drive improvement. In 2014, the total noncapital living expenses of 1,350 farm families enrolled in the Illinois Farm Business Farm Management Association (FBFM) averaged $81,711–or $6,809 a month for each family (Figure 1). This average was 1.2 percent higher than in 2013. Another $7,225 was used to buy capital items such as the personal share of the family automobile, furniture, and household equipment. Thus, the grand total for living expenses averaged $88,936 for 2014 compared with $89,130 for 2013, or a $194 decrease per family. Income and social security tax payments decreased about 3.8 percent in 2014 compared to the year before. The amount of income taxes paid in 2014 averaged $38,801 compared to $40,328 in 2013. Net nonfarm income continued to increase, averaging $39,676 in 2014. Net nonfarm income has increased $11,866, or 43 percent in the last ten years. In Figure 2, total family living expenses (expendables plus capital) are divided by tillable operator acres for 2005 to 2014. In 2005, all of the family living costs per acre averaged about $84 per acre. This increased to $116 per acres in 2014. The 10-year average is $102 of total family living expense per acre. If we compare this to the 10-year average of net farm income per acre of $204, then 50% of the net farm income per acre is family living expense. If we look at the average year over year increase for the last ten years for family living per acre, the annual increase was 3.4% per year. The five-year annual increase per year would average 3.1%. Therefore, as you work on your crop budgets, keep in mind that a 55 cent price change on 200 bushels per acre corn is about equal to the average total family living expense per acre. When you take total family living expenses minus net nonfarm income this equals $64 per acre in 2014 and was $62 per acre for the five-year average. This would be the part of family living that is covered by the farm income. In addition, there is another $51 per acre in social security and income taxes to be covered by the farm in 2014. The five-year average for these taxes was $39 per acre. A 30 cent price change on 200 bushels of corn per acre is equal to the 2014 family living cost that would be covered by the farm. The author would like to acknowledge that data used in this study comes from the local Farm Business Farm Management (FBFM) Associations across the State of Illinois. Without their cooperation, information as comprehensive and accurate as this would not be available for educational purposes. FBFM, which consists of 5,600 plus farmers and 60 professional field staff, is a not-for-profit organization available to all farm operators in Illinois. FBFM field staff provide on-farm counsel with computerized recordkeeping, farm financial management, business entity planning and income tax management. For more information, please contact the State FBFM Office located at the University of Illinois Department of Agricultural and Consumer Economics at 217-333-5511 or visit the FBFM website at www.fbfm.org. After hours harvesting forage, managing livestock and milking cows, new Cornell University agricultural economic research shows family members who work on the family dairy farm make $22,000 less annually than comparable hired managers, but are handsomely compensated with “socioemotional” wealth. “While $22,000 seems like a large penalty, there are nonfinancial rewards they experience working for the family business,” said Loren Tauer, professor at Cornell’s Charles H. Dyson School of Applied Economics and Management, who with lead author Jonathan Dressler of MetLife’s Food and Agribusiness Finance, published “Socioemotional Wealth in the Family Farm,” in a forthcoming Agricultural Finance Review. Dressler and Tauer examined dairy farm income in 1999 through 2008 and showed that New York farm manager median salaries varied widely from $41,884 in 1999, to $64,466 in 2004 to $74,986 in 2005, all adjusted for inflation to 2008 dollars. While the family farm managers were paid on average about $22,000 less, family members were compensated in other ways, such as with equity in the family business, which includes land values and the value of the operation — all of which have risen over time. For family farms, Dressler and Tauer estimated a 5 percent current return to equity and asset appreciation of 10 percent, for a total return to equity of 15 percent. With “sweat equity,” Tauer explains, children eventually inherit farms or are given an opportunity to purchase farms at a low estimate of the farms’ value. That future ownership opportunity and the chance to work with family members offset reduced annual compensation. In recent years, farmers and ranchers have enjoyed profitable times, but many experts, including the USDA, are predicting stress ahead in the ag economy. The American Bankers Association is helping producers prepare by providing key financial considerations. Ask your banker about the USDA’s guaranteed farm and rural development loan programs. Your debt can be restructured over a longer period at a lower rate if the USDA provides a credit guarantee to the bank. If your banker does not know about the programs, set up an appointment for you both to visit a USDA Service Center. Keep a clear perspective. Think through business problems by temporarily getting away from them. Take a weekend off, or resolve to see at least one movie before it comes out on DVD. However you do it, it is important for you balance and shift your focus to other activities—it will make your home team stronger. Members who forward contract with Dairy Farmers of America (DFA) Risk Management and sign up for USDA’s Margin Protection Program for Dairy (MPP-Dairy) may be eligible for reimbursement of their base $100 MPP fee. To learn more about this offer and the ways our risk management programs can work in conjunction with MPP on your operation, log in to myDFA and sign up for a free webinar covering MPP, the milk market outlook and risk management strategies. • Sept. 1, 11 a.m.
• Sept. 9, 1 p.m.
• Sept. 10, 2 p.m.
As a reminder, MPP enrollment for coverage in 2016 is open through Sept. 30, 2015. To learn more and to sign up for the webinars, DFA members should log in to myDFA at www.dfamilk.com or call 1-877-424-3343. Dairy farm businesses are under extreme pressure. Producers everywhere are looking to boost their profitability wherever possible. When it comes to growing profitability, the goal is to use simple, common-sense tactics for cost savings that go directly to your dairy bottom line. Too often we mistakenly focus on the topline (gross revenue, sales, even wins in the showring). That is costly and pays attention to the wrong end. Start by looking to the bottom line. The bottom line focuses on expenses. Not just the cost paid out but the benefits gained. And remember it’s the little things that count – a ten percent increase in profit is more likely to come from twenty things that contribute one-half percent each than from one thing that gives you the full 10 percent. Here are 12 tips to start you on your way to a better bottom line and more profitability. Bottom-up budgeting. The first thing to think about is the net that your dairy enterprise must earn. Everyone involved in the dairy needs to contribute to this investigation of what is absolutely required to sustain a profitable operation. Communication of successes, challenges and future potential must be openly communicated. One of the primary advantages of bottom-up budgeting is that it is traditionally very accurate. As long as everyone takes care to look responsibly at their area of the operation, it will generally come out with an accurate estimate of costs. 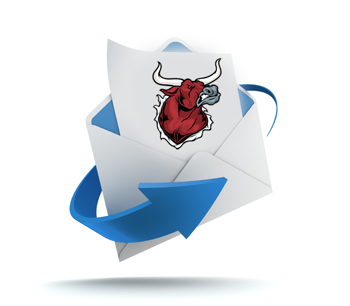 It is important that all input be received – without padding. Accuracy gives the foundation to build on. Padding could defeat the whole purpose! Set targets and achieve You need to be looking at key performance indicators (aka KPIs) and measuring your dairy against them. It is essential to know what you are comparing to so you can work towards it. . When possible, try to quantify the results you are aiming for with quantities, percentages, dollars or time. This will allow you to measure what you have achieved and readjust accordingly. Ideally, you should set goals for the long-term, and then mini goals that are short-term and ultimately tie in with the bigger picture. Differentiating between the two will help you from becoming overwhelmed or discouraged, and will also assist in always keeping the long-term perspective in mind when the day to day threatens to make you lose sight of it. Make sure the goal is in the right hands. This means the goal must be achievable as a result of your own hard work and determination, or with the willing assistance of someone already in your network. If you have no control over the outcome, it does not make for a realistic goal. Everyone has a role in meeting goals. Each individual, each team and every dairy animal will contribute to the bottom line profitability if they are assigned measurable goals that are linked to that outcome. In order to increase motivation, employees need to be allowed to participate in the goal-setting process. With agreed upon actions and measurable outcomes everyone can identify how their contribution contributes to the success of the dairy operation. Most importantly, when approaching completion of a goal, set a new one. Beware of false savings. When times get tough, it is tempting to cut back on expensive inputs. Fertiliser or other soil treatments might go on the chopping block. Grazed pasture is the cheapest feed for dairy cows. When ensiled for the winter it is the lowest cost feed. Saving on crop input costs could indeed be false saving. A better way of saving money would be testing soils tri-yearly and applying the right quantities of slurry, farmyard manure and fertiliser. False economies are everywhere, and the way to avoid them, as much as possible, is to take a strategic approach to thinking through them. Economies of taking away feed additives; doing without automation or adding more free labor (i.e. family) could actually cost more in the long term. Shop around. Make sure you get three quotes for everything that is purchased for the farm. Don’t forget to look at electricity, labour and even borrowing money. Getting quotes from power companies is easy, or you can use a broker. If you use self-employed labour or a contractor getting quotes can be appropriate or comparing other affordable options. Quotes for money means, simply, talking to other banks than your own. It’s in your profitability’s best interests to compare all suppliers on the basis of price, capabilities and performance. It’s false saving to have a cheap price that doesn’t provide results (see #4). Milk your milk check. Depending on particular countries, provinces and states .. there are many different rules to meet in order to receive your milk check. It is in your profitability’s best interest to increase the milk price in whatever ways are available to you. Take advantage of all the bonuses available. That could be for butterfat, protein, quality or pattern of supply. Seasonal incentive pricing exists in many areas so take advantage of it also! Make good on your grazing. Some advisers suggest that now is the time to intervene if your grass is not at its best. With half the season left you could still fix it. Mow and either feed the grass or bale Fertilise the field and get it back in the grazing rotation within 30 days. Also reconsider those late cuts. They are always more expensive to harvest as silage, so graze it or make dry bales to reduce costs. Manage the short term AND always make sure you have a plan B in every scenario. A plan is the one which has been put on the piece of paper. If it is not on the piece of paper, if it is not in black and white then it is just some random set of ideas and not a If you are really serious about creating a profitability plan, you will make efforts to write it down somewhere and share it with others. Of course, just writing your plan down on paper won’t make it “profitable”. But it is a good start. Continuous improvement should be the number one “VALUE” of the profitable dairy operation. Continuous improvement is linked with rewards and recognition. Continuous improvement should be supported by continuous training that is measured for effectiveness. 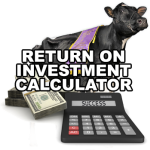 Calculate the ROI of everything you do. ROI is a more important metric than any conversion rate simply because it takes ‘COST’ into account. As long as you take ‘Cost’ into consideration, you can’t go wrong with improving your business bottom-line. Calculate ‘cost per acquisition’ for all of your dairy (show string; advertising; genetics). Even calculate ROI of all of your meetings, business travel and lunches. What about the days it takes for you to do all your accounting? Equipment repair? Building maintenance? Does your milk production suffer when you have to wear one of your other hats? Vet? Office manager? Field manager? Hire an Expert. There is always an opportunity – lost or gained – when you choose to do things yourself in which you are not an expert or when you hire someone who is not an expert. While you may gain by not writing a check to someone else, you could still be putting money down the drain. When your bookkeeping, animal health protocols, feed supplies or equipment maintenance are sub-par, any one of them could be substantially reducing your bottom line and be costing you your time, your health, mediocre results and even complete failure. Hiring an expert may not be profitable at first but, in the long run, can be the best bang for your buck. Not only will you recover your entire hiring cost sooner but you will also make a lot of money on top of that, and you will continue to do so for an extended period. However, all of this can happen only when you first understand that you can’t be an expert in everything and that you need someone who is really an expert in their field. Manage for Improvement. Efficiency is gained when revenue per cow grows. Technology, genomics, robotics all are tools, so your herd can become more productive and you don’t have to add new headcount to grow. 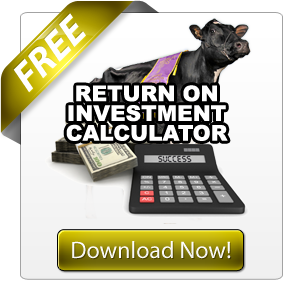 What if you could replace your lowest 10% of performers with new cattle that matched your top 10%? This would result in an enormous productivity boost at virtually no incremental cost. There are many techniques to improve productivity, but the point is that constantly growing headcount certainly will result in overhead growth but won’t necessarily lead to profitable revenue growth. Focus on acquiring or raising only the best animals. Your best milk producers are your most profitable producers. If you don’t know your best producers yet then get to know them ASAP. If you don’t know which animals are driving up expenses …. Find out ASAP. According to the Pareto Principle (also known as the 80–20 rule), 80% of your costs come from 20% of your herd. These 20% of your herd are hurting your bottom line. The other 80% are your high-value You need more of these best producers to improve your business bottom line. So gradually start reducing your herd of those high expense producers. Aim to breed more cattle targeted at reducing your most limiting genetic factor or factors (reproduction, feet and legs, calving ease). It is not really rocket science, but some dairy business owners and managers just don’t get it. They remain busy in acquiring low-value animals because they have never made the effort to identify and target their best producers. Low-value producers — still produce milk — but all milk isn’t equal. Even though it’s all the same once it’s in the milk tank, there can be quite a difference in the cost that got it that far. The lowest producing cow in the milk line may already have run up extra costs because she was sick as a calf. A dollar gained in revenue is an excellent thing assuming it builds profitability. However, remember, only a small portion reaches net earnings. A dollar saved from cost, however, goes directly to the bottom line. So move your focus away from the top-line and engage in a systematic approach for improving the bottom line. It’s the best way to ensure long-term dairy profitability and sustainability. As the weather turns slightly warmer and our eyes zero in on the greening up of the season, it feels like a good time for spring cleaning. Wouldn’t it be wonderful if you could profitably apply that urge to financial record keeping on the dairy farm? You don’t have to answer anyone but yourself but here’s another key question: “Did you file your tax return without the mess, stress or bother?” Or are you still recovering from late night headaches, lost documentation syndrome and the guilt of missed deadlines? If all was not smooth running in the financial records department, now might be the perfect time to tackle desk drawers, plastic bins and maybe even shopping bags that are overflowing with financial statements, receipts and correspondence. These are the signposts of your record-keeping shortfall! Forget about the annual shame and blame over “how did this happen?” and target a complete turnaround starting now! Don’t blush! You are not alone. Despite the so-called digital age, paper records seem to have multiplied. You only have to watch one or two reality shows such as Clean Sweep, Pub Makeover, or Restaurant Disaster – to learn that unsuccessful businesses have one thing in common. They do NOT keep good records. There may be exceptions out there who manage well amid visual chaos, but it is hard to imagine. It doesn’t surprise me that the owners and managers of struggling businesses are able to recognize, through increasing debt, declining morale and disappearing customers, that they are in trouble. What is surprising is that they keep on doing the same things they’ve always done -namely ignoring the paperwork -while continuing to hope for a different end result. 2. Plug The Hole In Your Milk Income Bucket! We must get ourselves into the home or dairy office and commit to doing “forensic organizing” among the paper piles. We could be facing a mountain of receipts, stacks of bills-to-be-paid, overlooked notices and, as usual, a huge backlog of filing. Have you ever lost a registration certificate that you know you received, but you just can’t put your hand on? Do you find yourself facing multiple pages of feed bills and yet you’re not sure if this supplier is worth the expense? Have you paid more than you care to admit in late fees and premiums because you couldn’t face the mountain of paperwork? If so, there is a hole in your dairy income bucket. Yes, too often struggling operations have dairy offices that fall somewhere between an archeological dig and a garbage dump. Nevertheless, that doesn’t mean the correct course of action is to give up and throw it all way. Records are crucial. Indeed, the size of the mountain is not an excuse for mismanagement. The most important feature of well-kept records is that they must be easily retrieved….for reference, legal backup and decision-making and maintenance. You must commit to plugging the leaks caused by mismanaged record keeping. It all comes down to three ways of finding: finding the information, finding a way to store it and finding a way to use it. Ignoring the problem is not an option. So begin by gathering all the paperwork into one place. Having multiple disorganized locations (in the house/in the barn/in the truck) is merely providing an excuse to procrastinate and, even worse, it’s an opportunity for losing things! Once you have gathered all the paper into one location, take that massive pile and — one paper at a time – get it into the proper primary sort: cattle; crops; equipment; bills owing; bills paid. To do these sorts, you could use plastic envelopes or, if the piles are especially huge, plastic bags. Apply a quick label and all like items can be gathered in one location. Your first quick sort will put everything into only three piles: “To Do” To File” and “To Read”. When you start to see order forming out of the chaos, you will have taken the first step in recapturing lost money and missed opportunities. If you want to plug up that bucket hole, start by “restoring order”. There are many ways to keep records. Some managers use methods that were in effect generations before them —- and are still successful. Others are adapting to modern technology and revise and streamline their information flow to keep up with the digital age. Regardless of the specific method, the real test of your record management system is measured by one thing. How useful is it? The best kept records that sit twelve months of the year in a drawer or file will still be there when the dairy operation fails! Data must be used for spotting trends, used for making decisions, used for revising inventory and used for negotiating terms. Dairy operations are dynamic, and decisions change based on the accuracy and use made of the records that are kept — and used! You may have decided at this point, that this article has nothing for you. After all, even though your records are not perfect, you are keeping the bills paid. Finances 101 encourages us to believe that if the bills are paid, all will be well! However, in actual fact, there are other variables that must also be in order before we can ensure that all is well on the dairy farm. Short term solutions like using credit to pay bills or selling necessary equipment might allow the bottom line to remain in the black temporarily, but could prove ruinous in the long run. The three main financial statements – balance sheet, income statement, and cash flow plan — give the full picture and must be maintained and used in conjunction with each other to provide a clear picture all three of the farm’s business situation. Proper usage of these three information sources can only be done with consistently up-to-date and accurate record-keeping. The top 1% of dairy managers separate themselves from average or poor managers by being meticulous about records that go beyond the simple bank balance or bottom line. 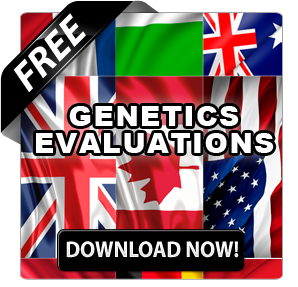 These managers are looking for any information that allows informed decision-making regarding economies of scale, herd size, farm structure, capital investment, feed costs per animal and genetics. They are enthusiastic collectors of any statistic, research or anecdotal advice that could positively affect their particular operation. These are the managers who seek out formulas such as DE (dairy efficiency) and seek out other industry leading benchmarks beyond milk production per cow. 7. What are Good Records Worth to You? The challenge for all dairy managers is to figure out the best way to manage the massive amounts of incoming paper and information. At best, the financial disorder causes mistakes, late fees, overpaying, raised interest rates, and debt. At worst, chaos in your finances can destroy your credit simply due to inaction on paperwork stagnating on your desk. Not using information that impacts your cropping, breeding, and genetic decisions, can also impact sustainability and economic viability. 8. You Need to Keep Records Before You Can Break Them! The more information you have at your fingertips, the more opportunity you have to turn a struggling dairy business around. With clear benchmarks, goal setting, priorities, you no longer are managing from crisis to crisis. Each step up in records organization is a step forward for the dairy operation. Not using information that impacts your cropping, breeding, and genetic decisions, can also impact sustainability and economic viability. Whether it is saving on expenses, decreasing vet costs, raising production, reducing overhead or making better use of labor and equipment …. The first step is the same… you must have good records. The three crucial usage steps are: 1. Discover what you need. 2. Prioritize according to your goals. 3. Take Action! Every manager has strengths and weaknesses. Sometimes it is the perfectionist who falls behind with the false idea that the perfect time will come to do the complete job. It isn’t lack of ability that is causing the problem. It’s inaction. There comes a time when it makes sense for your business to invest in professional bookkeeping, accounting, and back-office support to ensure your records are always kept up-to-date and accurate. Timeliness is the key. Moreover, delegating those tasks that would be better handled by someone else will not only increase your available time, but allow for a more efficient labor structure. Do you have the time to do the work required? Will catching up on finances cause you to fall behind in another crucial area? Do you have much experience, knowledge or skills when it comes to making the financial decisions your operation is facing at this Expansion, selling or taking on partnerships or reducing liability may need legal advice. Can you afford to lose any more money by continuing your current mode of record management? If things go wrong, are you comfortable taking responsibility for your record keeping decisions? Regardless of whether you’re motivated by a new season and the potential for growth and renewal, or whether spring woke you up and you’re now hell-bent on clearing out the cobwebs that are holding your dairy business back, it’s clear that maintaining proper books and records is vital to dairy success! Spring cleaning may seem somewhat ordinary but, when applied to record-keeping, it will take your dairy to extra-ordinary! The Penn State Extension Dairy Team is nearing completion of its second offering for 2015 of the Using QuickBooks to Manage Your Farm Business online course. During these sessions, there were several underutilized features and common oversights among participants, regardless of business type, size, or location. The following are four of the more common issues and how to address them to help simplify your financial records process. Financial management software, like QuickBooks, has the ability to generate reports using either accounting method: cash-based or accrual-based. Though accrual-based is the preferred method, many agricultural businesses still use cash-based accounting principles, and their data is entered to satisfy that need. To ensure accuracy in generated reports, they should be based on the method of data entry. For example, just because an accrual-based balance sheet is available to generate does not mean it is accurate. First, know which method of data entry the business is using. Then, set the QuickBooks report default preferences to that method (Edit->Preferences->Select Reports and Graphs on the left menu, and then click on the Company Preference Tab; be sure the summary reports basis reflects the appropriate accounting method). Remember, some pre-defined reports in QuickBooks are set to cash or accrual and are not impacted by this preference. Knowing the accounts payable (and receivable) of the business is vital given today’s market swings and tight margins. Even for cash-based reporting, it is important to know what is in queue to come in and leave, and how that will impact cash flow in the short term and long term. Too often, new QuickBooks users will start by entering bills, but then overlook an important step. Instead of using the Pay Bills feature within the system, they will go into the check register and write the check out. Doing so prevents a linkage between the bill and payment, thus the accounts payable value will grow, even though payments are made. A similar situation can occur with the accounts receivable and invoices or sales receipts. Not only will you need to receive payment on invoices, but depending on your preferences in QuickBooks, the money from these transactions will be held in undeposited funds until you go into the system to deposit them to the appropriate account. If the error has occurred, you’ll need to remove the checks/deposits and re-enter them against the appropriate bills or invoices through pay bills or receive payments. Some prefer to deposit directly to their accounts instead of using undeposited funds. To do this, uncheck the Use Undeposited Funds Company Preference from the Payments Preference in QuickBooks (Edit->Preferences->Select Payments on the left menu, and then click on the Company Preference Tab). To prevent these mistakes from happening in the future, use the zoom feature on a Balance Sheet report and examine the accounts receivable and payable regularly to ensure transactions have been processed. Loans and their accompanying assets are another area that can impact a business’ financial reporting success. Many farms are still doing cash-based accounting, and as such, may not realize that within financial management software, like QuickBooks, both structures are needed to accurately maintain balance sheet reports. Too often, only 1 of the structures, typically the loan, exists in the chart of accounts, without the companion asset. This causes the generated balance sheet to be inaccurate. When adding loans to QuickBooks, be sure the appropriate asset is also created. Also include an interest expense account to track interest expense for the loan. Be sure when entering loan payments that the appropriate split between principal payment (that goes toward the loan) and the interest (which is an expense) are recorded. The chart of accounts is the infrastructure to any financial management software. It provides the categories across various types of accounts (banking, assets, income, expenses, etc.). QuickBooks allows for numerous levels of accounts in the chart of accounts. For example, we could have an expense category for Direct Crop Expenses, and then sub-accounts for seed, fertilizer, chemical, and custom hire. If we wanted to know those direct expenses for corn and soybeans, we could add a corn and soybean sub-account under each of the previous 4 sub-accounts, thus growing our chart of accounts. This presents a reporting challenge then to summarize them by commodity because they are in individual accounts. QuickBooks has a classifying feature called classes. The class is a label that can be added to any transaction, and it allows for quick summarizing of data in various reports. Class labels are a preference that may need to be turned on (Edit->Preferences->Select Accounting on the left menu, and then click on the Company Preference Tab; be sure the class tracking is checked). Be sure that your class list contains the general enterprises of the business, as well as an overhead class to capture those costs that go across enterprises. Managing the finances of today’s dairy businesses takes dedication and time. Today’s tough fiscal environment has driven the need for more accurate and regular reporting of the current status of the business. When using financial management software systems, such as QuickBooks, it is important to remember what accounting methods are being used, generate appropriate reports, and be sure the structure of the data meets the function needed by the dairy business. Whether milk prices rise or fall, the Livestock Gross Margin for Dairy program is a good choice for managing risk. Here’s why. Managing risk involves answering questions regarding a dairy’s financial situation. What is your break-even? What do your cash flow projections look like? What milk price does it take to meet your objectives? These questions are a little different than market-oriented topics. That is another can of worms. Are milk prices in an uptrend? Is demand growing or shrinking? Are there new highs in milk prices (or new lows in feed prices) that should be considered in a marketing plan? In answering both the financial and market questions, we have always talked about blending marketing tools to reduce risk for your dairy operation. For example, the blend could be up to 33% in forward contracts, 33% in USDA’s Livestock Gross Margin for Dairy program (LGM-Dairy) or put options and 33% open. The reason for the mix: If prices go higher, you only have 33% sold. If prices go lower, you have 66% covered with LGM-Dairy (or put options) and futures. Blending provides the opportunity for managing financial risk, while still benefitting from strong prices if they occur. LGM-Dairy and options strategies have worked great for the past few months. You may have paid a small premium. But the market moved significantly higher, giving you a big cash flow boost over the minimum price protection from the LGM product. The last few months were a big win for those of you who set up the marketing strategies with something open on the top. Why is this important? Because everyone needs to earn back some of the losses for the past tough years and/or build cash reserves for the future. A picture seems to say it all. Margins are good from a historical perspective. How long they last is still an issue. This chart does tell us, once we get to the high end, that margins do move lower. Selling into a big discount or lower prices can be hard. The advantage of using LGM or options is that, if the milk futures markets do move higher, you do not get trapped. If markets do move lower, you have coverage. The big question: What if I could take these margins and have a minimum guarantee? Would it give me good cash flow? A final thought: It can be hard to sell into a discounted futures market. This is the situation right now, with milk prices lower almost every month for the next 10 months. The discounts can turn out to be correct, and cash milk prices can go lower. However, prices can climb higher if strong demand continues. LGM-Dairy or options are a great choice. If prices go lower, you have coverage. If prices move higher, you can capture the gains. Ron Mortensen is principal of Dairy Gross Margin, LLC, an agency that specializes in LGM-Dairy products, and owner of Advantage Agricultural Strategies, Ltd., a commodity trading advisor. Contact him at ron@dairygrossmargin.com or visit www.dairygrossmargin.com. Proposed changes to the tax code restricting the use of cash accounting by agricultural operations would reduce agriculture’s access to capital by as much as $12.1 billion over the next four years, according to a study released by Kennedy and Coe, LLC and Farmers for Tax Fairness. The study prepared by the independent research firm, Informa Economics, revealed that U.S. agricultural producers forced to switch from cash-basis to accrual-basis accounting under new laws would have to pay out as much as $4.84 billion in taxes during the next four years. Additionally, borrowing capacity of these operations would decrease by another $7.26 billion over the same time period. In 2013, the U.S. House Ways and Means Committee and the majority staff for the U.S. Senate Finance Committee both released discussion drafts of tax-reform proposals that would reduce the number of agricultural operations that can use cash method of accounting. The study used U.S. Department of Agriculture data to estimate the financial impact of congressional proposals to require agricultural operations with more than $10 million in gross receipts to shift to the accrual form of accounting. In January, 33 agricultural organizations including the American Farm Bureau, the National Cattlemen’s Beef Association, National Corn Growers Association and National Pork Producers Council sent a letter to the Senate Finance Committee expressing their concerns about the proposed changes to the cash-accounting rules. A full copy of the Informa Economics report can be found online atwww.FairFarmTax.com (http://bit.ly/informa-study). Milk is a commodity. While you can get different levels of fat and protein content etcetera, for the most part all milk is seen as the same. As the world goes to more and more global trade, milk producers around the world need to realize that in a commoditized market, he who produces the lowest cost milk will win. Currently the world average cost of production is $46USD/100 kg of milk. So for those countries and producers that either don’t know their cost of production, or know it and see that it’s over $50USD/100 kg of milk, this is a direct wakeup call! 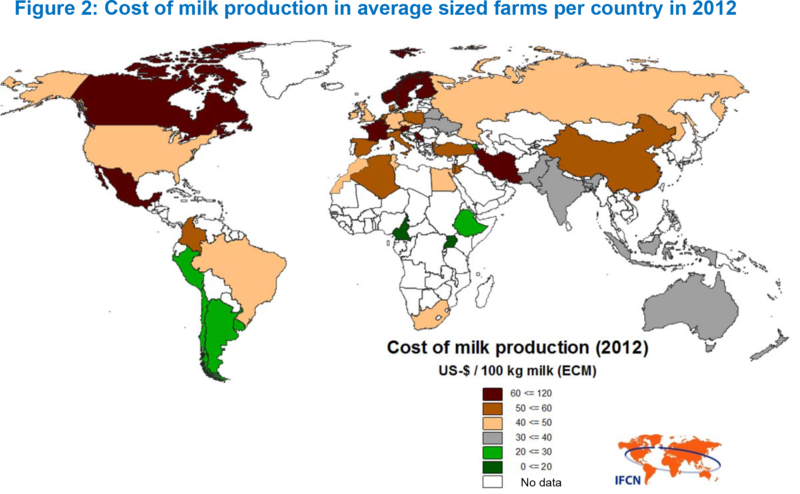 A recent IFCN report shows that low cost regions Argentina, Peru and Uruguay, Central and Eastern Africa Central and Eastern Europe and some selected countries in Asia (except Japan and large farms from China) all had the lowest costs of milk production in the world. Also very noticeable in the report was how countries like Canada, Mexico, Norway, Sweden, Denmark, Portugal and France all had costs of production over $60US/100 kg milk. While most major milk production countries in the world have seen their costs of production increase significantly over the past 12 years, the range of difference has come much closer together. Some low cost production countries from 12 years ago are now almost at par with countries like the US. New Zealand was actually the lowest cost producer back in 2000, with average cost of production at $12 USD/100 kg of milk, but with increases in input prices and an appreciating currency, costs increased to a level of $35 USD per 100 kg milk. That is an increase of over 291% in just 10 years! With such drastic changes in costs of production, it’s no wonder that New Zealand milk producers are having trouble competing on the world market. As milk production becomes more globally than regionally focused, it’s countries like Chile, Peru and Saudi Arabia that are going to have the competitive edge. It also means that countries like Canada, Sweden and France are going to find it harder and harder to compete. Furthermore, it indicates that the world’s biggest dairy product exporters (on a milk equivalent basis) who are currently New Zealand, the European Union and the U.S. could start to see South American countries joining them on these top lists. Actually the world’s cheapest milk is made in Cameroon, where it comes from beef cows and is a by-product of producing meat. There the production costs work out to just $1.82 per hundredweight. But it is not produced in such mass amounts that it can be considered a world player. One of the scariest trends for all dairy producers is how the cost of production is increasing while the price of milk is not increasing at the same rate. This trend is sure to cause many problems for producers around the world as we go forward. Another scary trend for producers is the volatile price of feed, as was very evident in the summer of 2012 when milk prices fell and feed prices increased. Also when you factor in the increasing costs for transportation, environmental issues, food safety and labor, in the future where milk is produced could be quite different from where it has been produced up until now. World economic models will show you that, over time, those who can produce their products the cheapest will win. This is also true for Milk. As free trade agreements are breaking down the barrier to entry into many countries and the removal of government support programs, more and more producers are going to have to look at their operations and see if they can compete in a global marketplace. If you cannot produce your milk for less than $46 – 50 USD/100 KG of milk, or you simply don’t know your cost of production, now is the time to either shape up or get out. The future does not look bright for those who can’t answer those two questions. It is not too early to start planning for your future. If you have been attempting to secure credit for your farming operation in recent months – you likely have found bankers to be very cautious. You likely have heard the bankers indicate how carefully the government bank examiners are scrutinizing there loans and portfolios. Where were those bean counters when Freddie Mac and Fannie Mae gave out money more freely than an inebriated sailor? Financing has really changed from the mid 1990’s when the dairy industry was going through a major retooling. During the 1990’s a business plan could be put together for a dairy and if the operators met the “Five-C’s of Credit” the plan had a strong likelihood of being approved. Today, the Five-C’s are more rigorously scrutinized than ever. Not only is the character of the owner(s) important but the reputation of the business is also important. Does the community have a positive perception of the business and the employees that work for the company? Does the agricultural business use currently approved production practices and modern technology? What kind of environmental track record does the operation have? Have they been a good neighbor? Capacity refers to the business’s ability to meet its obligations, remain viable over time and simply make money. Commitment is a given. Does the key person(s) in the operation have a history of overcoming challenges? I just spoke with a producer struggling to remain positive through the challenges of this wet spring. Larger operations have a distinct advantage in respect to the day-to-day struggles of operating a farm because the emotional struggles can be shared by the staff. Farms that have made it through hardships and made financial progress over the long haul are attractive to lenders. Collateral is the fourth of the 5 C’s of Credit. Collateral has to do entirely with the strength of the balance sheet. Are the assets fairly valued or are they inflated to make the balance sheet look more positive? During much of the late 90’s and early 2000’s, many dairy farm balance sheets were upside down. That is, the lenders owned more of the farm than did the farm. This was due to the fact that for a dairy to modernize, it took a lot of new capital. Once the dairy had retooled it’s self for the future, the debt was paid down and the balance sheet recovered. When it comes right down to the nitty-gritty, can the lender get out from under the collapsed business without losing money? Most, if not all ag lenders, want to avoid a foreclosure like the plague. Lastly, the conditions of the loan are addressed in the business plan. Conditions generally include markets, consumer trends, economic predictions and environmental considerations. We all know how global our economy has become. Farming has historically been an industry based on the production of commodities. Increasingly, more agriculture producers are vertically integrating by entering into the processing and marketing of their products to wholesalers or directly to the consumer. This takes a great deal of market research to meet the condition requirement of the loan proposal. Most producers will not pursue direct marketing of their products but lenders are requiring prospective borrowers to come prepared with multi-year monthly cash flow projections complete with a sensitivity analysis designed with a range of product prices and cost projections. Most experienced agriculture lenders now require a marketing plan using risk management tools as a part of the cash flow projections. In these tough financial times, the 5-C’s of credit remain important but they may not be enough. When the banker rejects a strong proposal the borrower must receive honest feedback. What are the specific reasons for the rejection? Are the objections fact or does the bank lack capacity to make the loan? Is the lender technically up to date to properly evaluate the loan request? Agricultural lending has become so involved that many banks have made the decision to withdraw from the market but are reluctant to express this to prospective borrowers. Work hard on strengthening the 5-C’s of your farming business, find an agricultural lending partner that is knowledgeable regarding modern agriculture and be on top of your financial game at all times. Unbelievable, historically low interest rates have now been with us for four years. Many dairy producers have continued to ride the variable rate because those rates are rock-bottom low. Variable rates generally change monthly, but no one has noticed because, in the last four years, rates have gone no place. Variable interest rates are mostly based on the Prime Rate, which, by definition, is supposed to be the best rate to the best customers. To a large degree, that definition has been lost. Prime is the Over Night Fed Funds rate that banks charge one another to borrow money back and forth overnight, which today is 0.25% plus 3.00%, giving us a Prime Rate of 3.25%. The second rate used for variable rates is called LIBOR (London Interbank Offered Rate), which is a composite of bank rates across the globe. That rate is running around 3.60% at the writing of this article. Sometimes lenders will have an inter-bank rate of their own based on their cost of funds and internal factors. Regardless of how the variable rate is derived, it will be a lower interest rate than a fixed or locked-in interest rate. The real question is what is right for your dairy? A lower variable rate that can change monthly or a longer-term fixed rate? A lender will normally offer you borrowed rates that are tied to their cost of funds or deposit or bonds that fund those loans. Remember, all a lender does is take money with one hand, pay the depositors an interest rate for the use of the money and loan that money back out at a higher rate, then use the difference to pay staff and show a return. The lender will match the deposited money to the borrowed money for a specific amount of time. So, when the depositor’s certificate of deposit or bonds matures, the loan comes due for a renewal. So we do not forget, the overall U.S. interest rates are watched and moved by the Federal Reserve, which is totally separated from the government. They have a two-part mandate from Congress to keep people employed and keep inflation under control. The Fed, as it is commonly known, controls the money supply, which, in turn, moves interest rates up or down. It is the overnight Fed Fund rate that people focus on, which will move the U.S. bond market all the way to the 30-year U.S. Treasury Bond. All other borrowing rates in the U.S. are based on the U.S. bond market, considered to be the safest place to invest money. Over last four years, since the “Great Recession,” the Fed has been trying to stimulate the U.S. economy with low interest rates. This is in hopes of getting businesses to employ more people and get the general public spending more money. The U.S. economy, or GDP (Gross Domestic Product) of all goods and services, is driven 70% by consumer spending. The Fed has even been buying U.S. Treasury debt or bonds to keep interest rates low. So far, economic recovery has been slow. The Fed has gone so far as to say it plans to keep interest rates low until the end of 2014. Recently, some of the Fed Governors who vote every six weeks on interest rates are thinking the Fed has done enough and rates should start moving up. So what does all of this mean for your dairy? There are a lot of moving parts to the Fed’s decisions. Interest rates cannot stay low forever. Once interest rates start to move, “all” longer-term fixed rates will begin to move up. It is possible they could move fast. Those producers who lived through the 1980s remember all too well 16% and even 18% interest rates. Today’s general economy could not stand for anything near those rates. A movement of a few percentages would get the public’s attention. To take out whatever risk you can in this high expense rate environment of operating a dairy would be responsible. Talk to your lender about a longer-term interest-rate fix. You still have to make the final decision. It certainly is time to give it some serious consideration. Gary Sipiorski has a long career in the banking industry, doing business primarily with dairy producers. He has been associated with the Citizens State Bank of Loyal, the Graduate School of Banking in Austin, Texas, the Independent Community Bankers of America, the Governor’s Task Force on Growing Agriculture in Wisconsin, and the Advisory Council on Agriculture, Industry and Labor for the Federal Reserve Bank of Chicago. In 2008, he joined the Wisconsin-based nutrition firm, Vita Plus Corporation, where he is dairy development manager. Contact him at 608-250-4267 or GSipiorski@vitaplus.com. Dairy Today – The year ahead may not be another record breaker for crop profits like 2012, but no question, 2013 still looks to be a good year for profits for producers who can pull the marketing and buying trigger when margins present themselves. 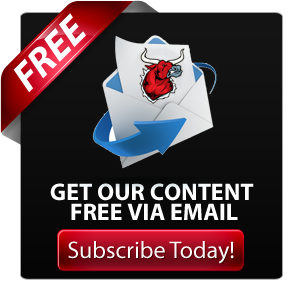 Become a True Profit Hedger. Increasing numbers of progressive farmers are taking a lesson from the books of successful grain and other agribusiness companies: Don’t be exposed. That means to lock in inputs, such as fertilizer and seed, plus lock in commodity prices, at the same time. That’s called locking in a true profit margin, leaving nothing for guesswork. More farmers are doing this, true hedging, and more will be doing so in 2013. Managing risk doesn’t stop with crop insurance and forward price selling. Despite low interest rates, you want to be in a strong cash position, a minimum of 33% working capital to revenue, experts say, and two months’ worth of expenses in the bank, CDs, money market accounts, investments readily convertible to cash. This not only protects you from any downturn, it also gives you cash to take advantage of great asset deals when agriculture undergoes a correction. Four international hot spots in 2013 will have a lot to do with your profits, and you need to keep your eye on all of them. Corn and soybean crops in Brazil and Argentina this winter. If crops there are less than ideal, prices could sail sky high. How far Chinese economic growth tumbles—or rebounds—and what impact that has on meat use, and all importantly, oilseed and grain imports. Whether Europe can resolve its debt problems. What kind of a production year the Black Sea region has particularly Ukraine and Russia, both likely to plant a lot more of everything to take advantage or rising prices. Price volatility, true, is not going away, but volatility goes far beyond that. For instance, new corn and soybean growing regions in the U.S. are extending into north and west, areas with highly volatile weather and production one year to the next, and this has not been factored into a lot of models. Furthermore, crop growing regions globally are expanding into areas with highly volatile weather one year to the next, too. As a businessperson, this means huge fluctuations in your profits from year to year that you need to be prepared for. For example, if weather is great around the globe next year, corn could be $4-something at harvest, if terrible; it could be $8-something. Eventually, the U.S. economy will turn around and when it does, look out interest rates. As a result, lock in as much of your interest rates in fixed rate middle and long term instruments as possible, with the absolute minimum in short-term variable rates. The good news on rates, however, is that you have a little time: rates in 2013 are likely to stay near current levels, that is to say, historically low. But when rates are 4% and 5%, half the long-term average, the pressure can only be up, so be advised. 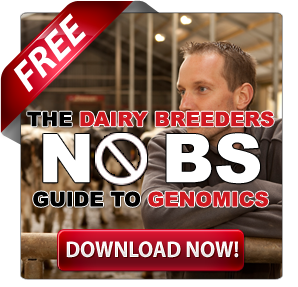 Dairy Herd Network – Ponder this scenario: You have four children. One of them wants to come back to the dairy farm. The other three work off-farm. “We can afford to pay you $1,000 per week,” you say to the farming child. “But you know, we always said we wanted to treat you kids equally, so we’re going to pay each of you $250 per week. That way you’ll all be treated equally.” Is that fair? No, it’s certainly not. Most people would agree that the child who works for the business should receive the full $1,000. “If that’s fair during life, what changes at death?” asks John Baker, an attorney and administrator of the Beginning Farmer Center, part of Iowa State University Extension. Distribution of the business assets can be an equitable arrangement for both on-farm and off-farm heirs. Here are some considerations to keep in mind during the planning process. “Farmers tend to look at farm business assets as though they are family heirlooms. They don’t consider them to be business assets,” Baker says. Consider the situation where you have a set of plates that great-grandma brought from the old country. There are only four left and you have four children. Naturally, you’d want each one of them to have part of the family legacy. It’s wise for not only you, but also your heirs, to leave their sentimental attachment at the door of the planning process. Elwyn Voss, financial services representative with The Voss Group in Norwich, N.Y., asks his clients to think about this situation: Say you have a son or daughter who left the farm 20 or 25 years ago. If that child dies, what is the brother or sister on the farm going to get out of that estate? The problem, Voss says, is sentimental attachment. As you work toward a plan for asset distribution, think through the potential ramifications of your actions. Your plan for distributing the business assets also can put heirs into business with each other when they had no intention of doing so. This can backfire on more than one level. “My experience as an attorney tells me that death brings out the best and worst in families, and usually it’s within about half a second of one another,” Baker says. Plus, your unintentional business partner’s knowledge of modern dairy farming practices can be severely limited. Taking the time to put together a comprehensive asset distribution plan will not only move the business forward, but equitably compensate both on-farm and off-farm parties. “There are lots of tools that can be used very effectively by farm business owners to put together a comprehensive business succession plan that helps to keep the business assets together and also provides a form of compensation for the in-business heirs and the non-business heirs, without destroying the business,” Baker says. For Dairies, Last Straw with Lenders? Dairy Today – In California, Texas and Idaho dairy country, anti-lender sentiment is high amid shrinking credit lines. 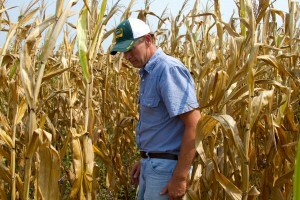 Corn and soybean farmers have crop insurance to fall back on if crops fail. But dairy producers will struggle to find enough feed to get through the next year, and will pay dearly for it if they find it. “Lone Star Land Bank courted a lot of dairy loans in 2006, but they’ve decided to exit the dairy industry,” says Darren Turley of the Texas Association of Dairymen. Herd liquidations and dairy closures aren’t always because the lender didn’t do its job, says Mitchell Harris, CEO of AgTexas Farm Credit Services. “A lot of lending and dairy business models were not designed to handle the level of challenge we’re seeing in the dairy industry,” he says. But Harris also urges producers not to paint all financial institutions with the same broad brush. “We haven’t foreclosed on a dairy since AgTexas was formed in 1999,” he says. The head of BMO Financial Group says society rightly expects bankers will stand behind the people who put food on our tables. Bill Downe says that’s why they’ve put together a financial relief program to help customers affected by dry conditions throughout much of North America. The program allows BMO customers to apply for working capital assistance, deferral of loan payments and other measures. BMO Canada’s National Manager of Agriculture, David Rinneard, says they’re hoping these initiatives will help alleviate some of the problems being faced by Ontario farmers. BMO customers are advised to contact their local bank about their particular needs.